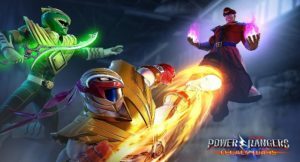 From Lionsgate Games, nWay, and Bat In The Sun, the trailer for Power Rangers Legacy War: Street Fighter Showdown features the Morphin Grid being corrupted, the Power Rangers under the sway of an “evil sorceress,” M. Bison (Kevin Porter) revived with even more power, and Tommy Oliver (Jason David Frank) recruiting Ryu (Peter Jang) and Chun-Li (Gemma Nguyen) with Gia Moran (Ciara Hanna) to save the world. Being released this fall, the trailer stopped just short of showing the audience Ryu morphing. However, that same day, game play was released showing Ryu as the Ryu Ranger. Appearing as a white ranger with gold and red features (including a variation on his iconic headband and gloves), it has a bird motif reminiscent of Choujin Sentai Jetman (which was inspired by Science Ninja Team Gatchaman). While fans may eagerly anticipate the release of the film, just the live action version of this costume alone maybe worth the wait. 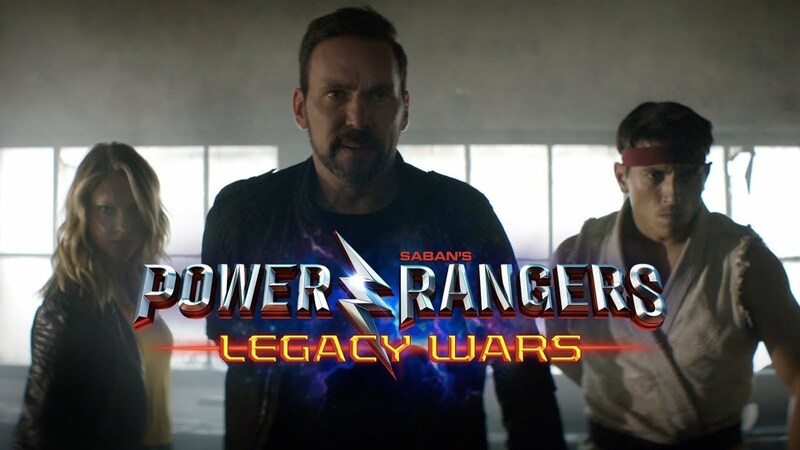 This entry was posted in Uncategorized and tagged Bat In The Sun, Jerry Whitworth, Power Rangers, Street Fighter, Video Games. Bookmark the permalink.